I've been moved into my dorm for three weeks now, but I finally have all of the decorations just the way I want them! Since it's all nice and done now I thought I would finally share some pictures with you guys! The area by the front door, and our little chalkboard/corkboard/key holder thing. These are our closets, and also the first thing you see when you walk in. To the right is the bathroom. I know I have dishes drying but I thought that would be nice to show you guys since that's what that counter space is used for most of the time haha. It's really nice being able to have this area, because it actually feels like a little mini kitchen. I really love the second shelf area since I can store books up there and my perfume as well. My little perfume area, and also my whale ring holder that I adore. I AM IN LOVE WITH THIS. 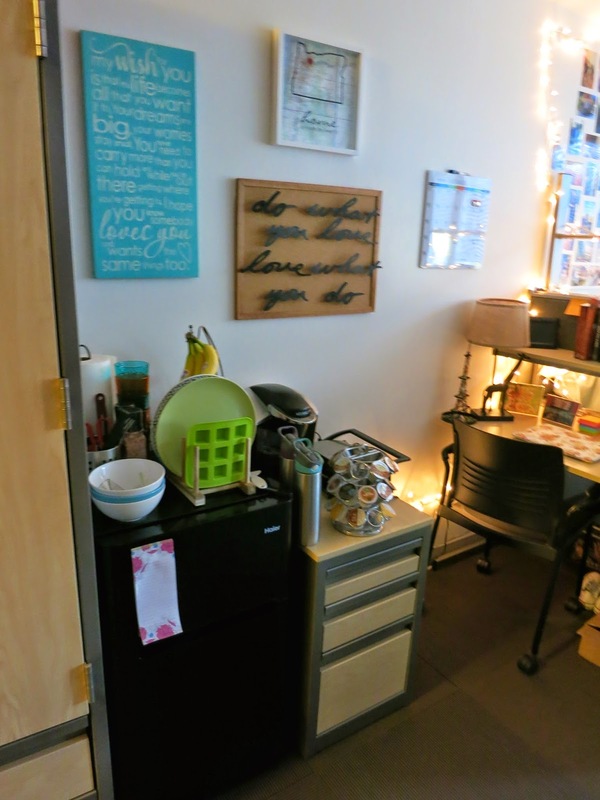 I am super happy with how it turned out, and it makes my dorm seem so much more homey! I also love maps, and I really like how the poster blends in with the wall. I keep my rice cooker, crockpot, pans, and tupperware in this little shelving unit, and I store food, shoes, laundry stuff and extra storage drawers under my bed. Broader view of my side of the room. Close up picture of my wall. View of the "window wall." Overall, I am so happy with how my room turned out! 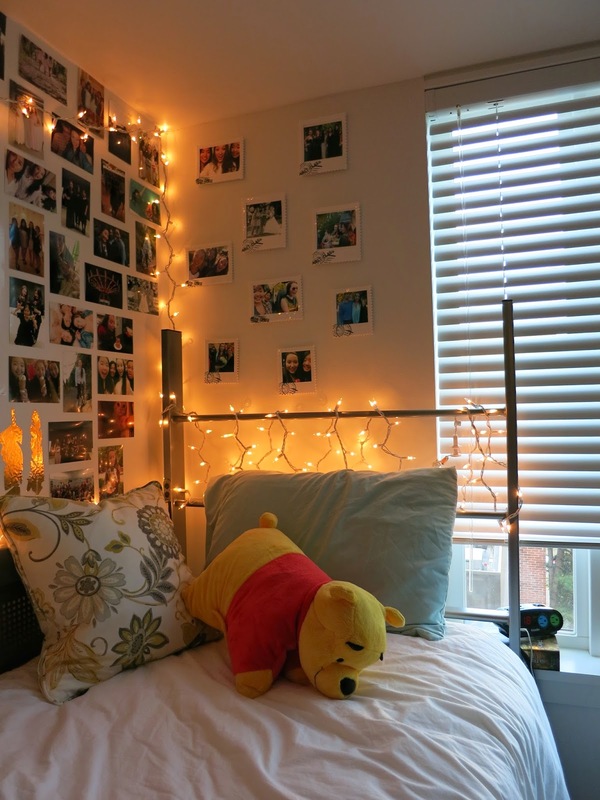 I am loving college life, and having my dorm decorated really helps to make it feel more like home. You've made it extremely personal. It does look slightly cramped in the kitchen area though. We deffo have a larger eating/chilling space. Hope you're enjoying college. what are you studying? Yeah, my roommate has a lot more room on her side since we have all of the cooking stuff on my side haha. And yeah I'm loving it! Right now I'm studying international relations! Hahaha oh cool! I hope you're enjoying the course. What a lovely home! Where did you get your map-picture from? I am searching for something like this for months!